Half of the Allies squad picked to play at next month's division one NAB AFL Under-18 Championships will come from New South Wales-ACT, reflecting the region's growing talent. The Allies squad, which was revealed on Wednesday following the end of the division two titles last weekend, has 17 players from the winning Rams outfit in the 34-player squad. Queensland has 11 representatives in the Allies team that will be coached by former Sydney Swan Tadhg Kennelly, while the Northern Territory has had six players included in the squad. After a winless division two championships, Tasmania has not had a player selected, meaning more than 20 players from the Allies line-up are tied to northern academies. The squad was selected by AFL officials Kevin Sheehan, Brenton Sanderson and Michael Ablett, with consultation with the four club recruiters who have been appointed as All Australian selectors. State talent managers were also involved in the process. Likely early picks Will Setterfield and Harrison Macreadie headline NSW-ACT's inclusions in the Allies' line-up, which will start its division one campaign against South Australia at AAMI Stadium on Saturday, June 4. Highly-rated Queensland prospects Jack Bowes and Jacob Allison have also been named, alongside exciting bottom-aged tall forward Connor Ballenden, who booted five goals last week against Tasmania. 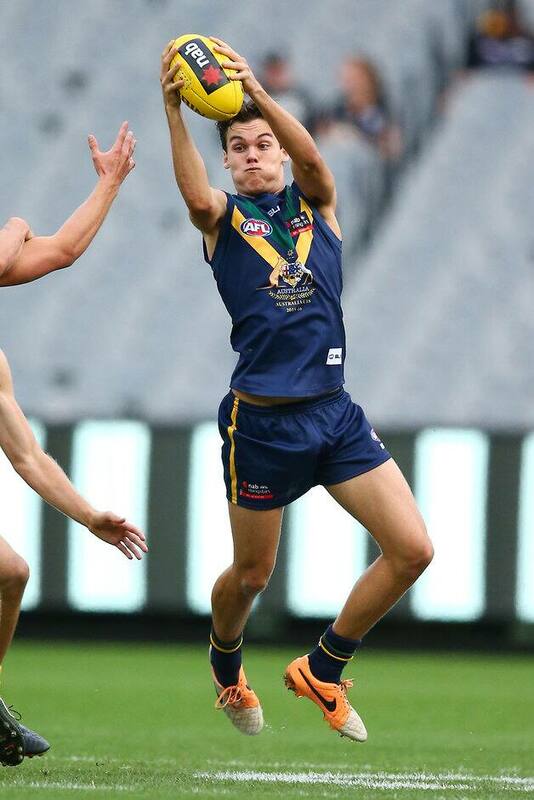 After being picked as an under-18 All Australian last year, the Northern Territory's Brandan Parfitt has made the Allies squad, with Jamie Hampton, the younger brother of Adelaide half-back Curtly, one of his teammates to also join the group.